Fencing, fighting, torture, revenge, giants, monsters, chases, escapes, true love, miracles… The Princess Bride has it all. From Turner Classic Movies and Twentieth Century Fox, this incredible film is turning thirty, and it’s doing it in style. A nationwide event is bringing it back to theaters, and they’re also releasing a 30th anniversary Blu-Ray edition. It’s the perfect time to look back at a cult hit that we all know, love, and quote on a daily basis. 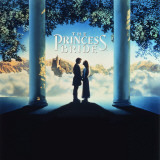 Based on a book of the same name, The Princess Bride was adapted by its original author, William Goldman. At once a love story, a pirate adventure, and a comedy, it’s no wonder it’s hit home with a worldwide audience. Sonny, this movie is the greatest thing in the world (except for a nice MLT — mutton, lettuce, and tomato sandwich — where the mutton is nice and lean and the tomatoes are ripe). If you want to learn more about Princess Bride, keep reading. The Princess Bride came long before Robin Wright’s huge hits like House of Cards and Wonder Woman, and at the time the actress who played Buttercup was still relatively unknown. Before she won the role, many big celebrities were considered, including Meg Ryan, Uma Thurman, Courtney Cox… and Whoopi Goldberg. Could you imagine Whoopi as Buttercup? Kind of awesome, although Robin Wright’s performance was ultimately iconic. Speaking of unusual casting decisions that almost came to pass, Arnold Schwarzenegger was considered for Fezzik. The first time the film was in talks was in the 1970s, but by the time casting came around for real, he had become too famous for the part and was replaced with André the Giant. In some parallel universe, Schwarzenegger is carrying Whoopie up a cliff on his back. Mandy Patinkin calls the three days that Billy Crystal was on set “the three greatest days of [his] life.” Crystal ad-libbed 13th-century jokes for thirty hours, never repeating a single one, and even director Rob Reiner had to leave the room. The sword fights in Princess Bride were created by Olympic fencer Bob Anderson, who choreographed a crazy amount of the movie fights that we all grew up loving. From The Lord of the Rings to the Zorro movies, he was the father to decades of Hollywood swordplay. He even stood in for Darth Vader during his famous lightsaber battles — at the age of 60. The Dread Pirate Roberts, the mythical character that Westley takes on in his pirating years, is based on a real person! Bartholomew Roberts was a Welsh pirate who raided ships off of the Americas and West Africa. He was considered the most successful pirate of the Golden Age of Piracy and is credited with taking over 400 ships. He was a flamboyant character, who created the pirate code and often wore feathers, diamonds, gold chains, and multiple pistols. The Princess Bride fanbase is far-reaching. Celebrity fans include everyone from gangster John Gotti to Bill Clinton to the late Pope John Paul. Could you ask for a more motley lineup? Gotti approached director Rob Reiner in New York, shouting the famous line “You killed my father. Prepare to die!” With Gotti’s background, no one would have blamed Reiner for feeling a little threatened.